Saying sorry can be very difficult, though everyone messes up. When you have done something to cause someone hurt or inconvenience, you may feel remorse, guilt or regret. Whether you choose to apologize in person or in writing, there are some aspects to the apology that apply to every situation, and can boost the chances for healing and forgiveness. A true and complete apology should encompass three aspects: acknowledgement and regret for the hurt or inconvenience your actions caused, taking responsibility for your own actions without making excuses or casting blame elsewhere, and an indication of how you will try to fix the situation going forward. Take some time to think about the situation, your actions, and the other person. Evaluate their feelings, and the hurt they may be experiencing. Think about why the event occurred, and evaluate if you feel genuine remorse, and why. Reflect on what you might do to improve the current situation or to prevent a repeat occurrence in the future. Be sincere. An apology message does not have to be elaborate to be effective. Conveying a true expression of regret is often enough to help heal the situation. Be specific if needed. For example, “I’m sorry. I realize that by being late I caused us to be late for the visit with your parents. Please let me make it up to you by taking your parents to dinner next week.” Or if you miss a friend’s birthday, you could say “I am sorry I was so disorganized this year and let such an important date go by. You mean so much to me and I feel awful. I added an alert to my phone so I won’t miss your birthday again." Use light humor only if you are absolutely certain the other person will accept it. 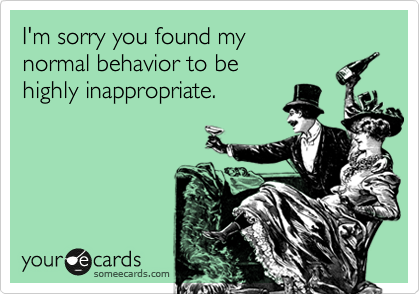 Making light of the situation does not usually constitute a genuine apology and may end up hurting the person more. Whatever you decide to write, sending flowers and a sincere message that you gave thought to can be a bridge toward healing for all concerned. 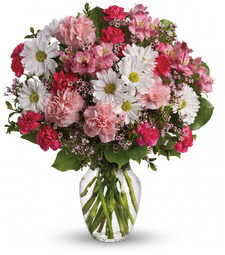 Flowers that traditionally convey apology include a mix of red and white roses, pink carnations, or white tulips, but there are many choices available and you should think most about the intended recipient. You may or may not earn forgiveness, but odds are that you will at least open the doors to communication. And you will feel much better for making the effort. "I am so sorry. I know I hurt your feelings and I feel terrible about it." "I’m sorry for being so insensitive and insane. I know that it’s not an excuse I hope you can have a forgiving heart soon. I miss you." "I’ve said things I should never said, I’ve done things I should never done- tell me how can I make things right. I’m sorry and I miss you so much!" "I am truly sorry for the pain I caused you." "How can ½ be 1 without you, my other half? Please forgive me." "I'm sorry. I know it is difficult for you to trust people and my lying to you hasn't made it any easier. I shouldn't have lied no matter how afraid I was of your reaction." "I'm sorry. You have every right to be angry with me. I will never speak that way to you again." "Accept these flowers in place of the words I said." "We haven’t talked since our last fight, but I want to tell you that I’m still the same friend you had before. And I still am going to be, so please forgive me." "I'll never forgive myself...but I'm hoping you will. I'm sorry." "I may not be perfect, but I have perfect regret. I am so sorry for what happened." "I love you so much. I would do anything to make you smile. I can’t believe I just hurt you. Please forgive me. I am so sorry."